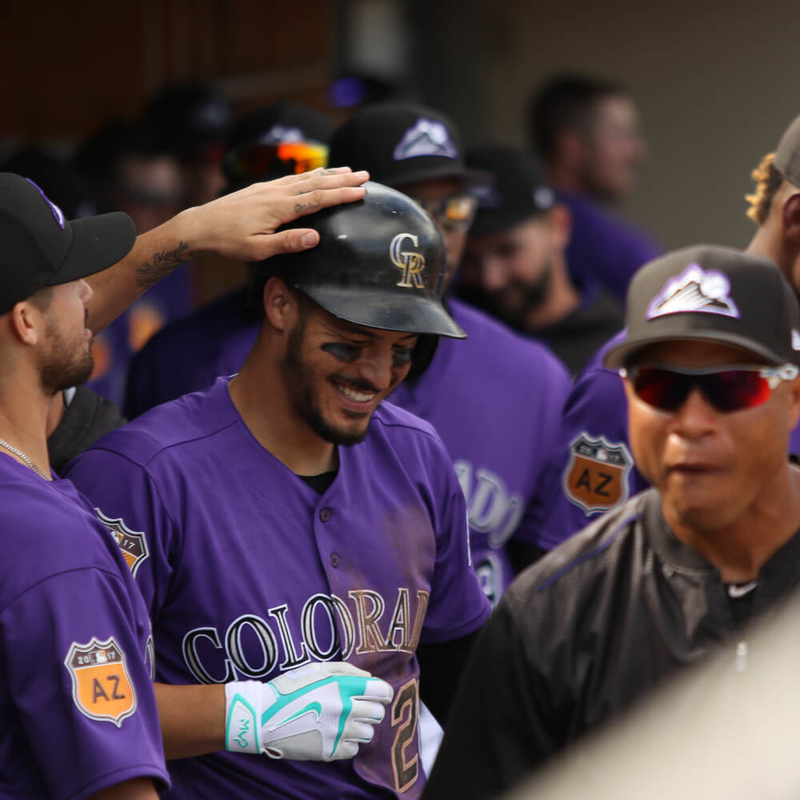 Anything from Nike that Arenado brings out to the field with him is absolute flames. I love that “mint” color (Tiffany Blue?) that he’s adopted. It looks even better than Tulo’s volt green and CarGo’s pink. If you haven’t seen it already, check out our locker tour with Nolan. Might be the best spikes you’ve ever seen in your life. 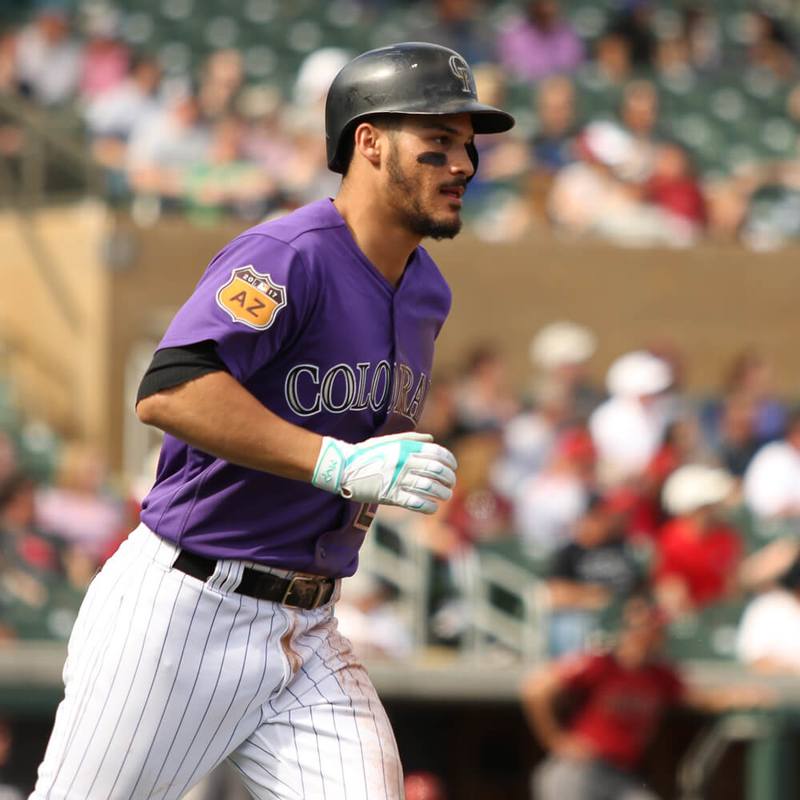 The batting gloves are not available in Arenado’s mint colorway, but Eastbay has some nice colorways to choose from!